The Stratasys J750 offers 500,000+ colors and material options giving users endless possibilities of realism and accuracy on their prints. 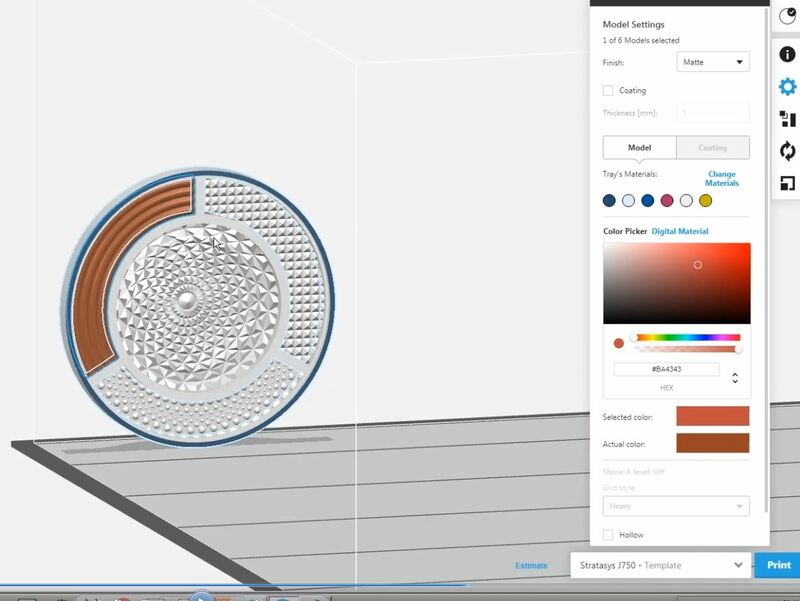 Assigning these color and material options in GrabCAD print is quick, user-friendly and allows the option to assign a variety of materials, ranging from flexible to transparent parts. 1. 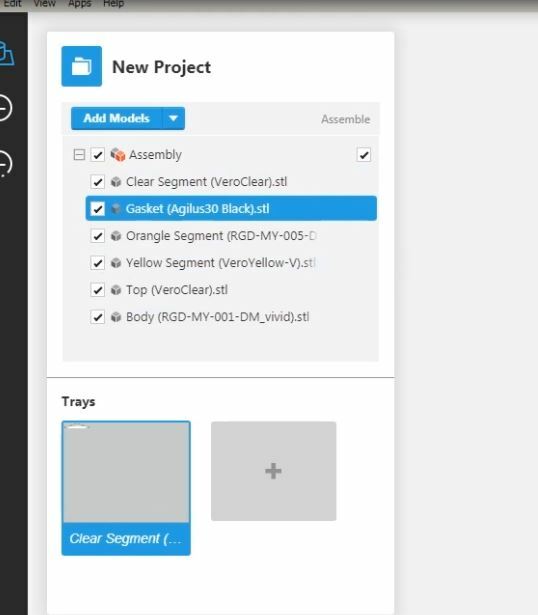 Import the assembly of STL files into GrabCAD. 2. 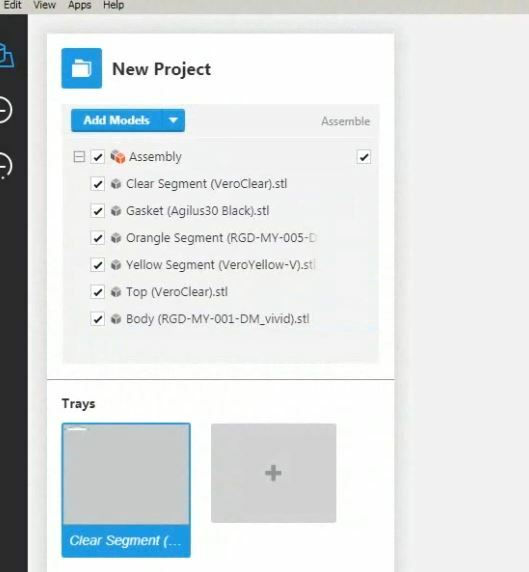 Next, click on a subsection of the part to select it. 3. 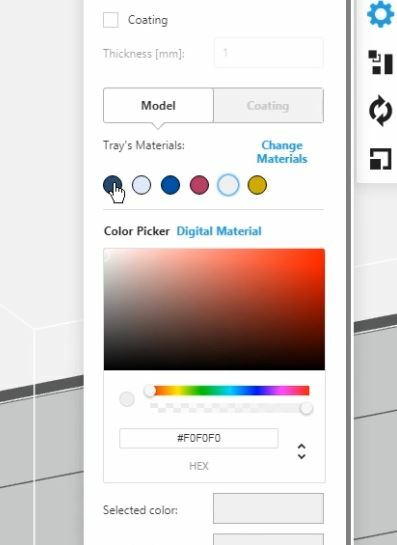 Once a subsection is selected, apply any material or color desired from the print settings menu. 4. Continue these steps until every subsection is assigned a color or material and send the job to the printer.